At Shadowbar Shepherds Elite Boarding/Training School for Dogs, we train and exhibit client dogs as well as our own in performance events. Why not send your dog to Boarding school and let us do the job for you? Need a coach? Come to Shadowbar and let us help you. Once again the old year passes and a new year begins; a year of goal-setting and planning. 2015 has been a good year for us at Shadowbar. Every goal we set for our dogs has been met and some extra as well. 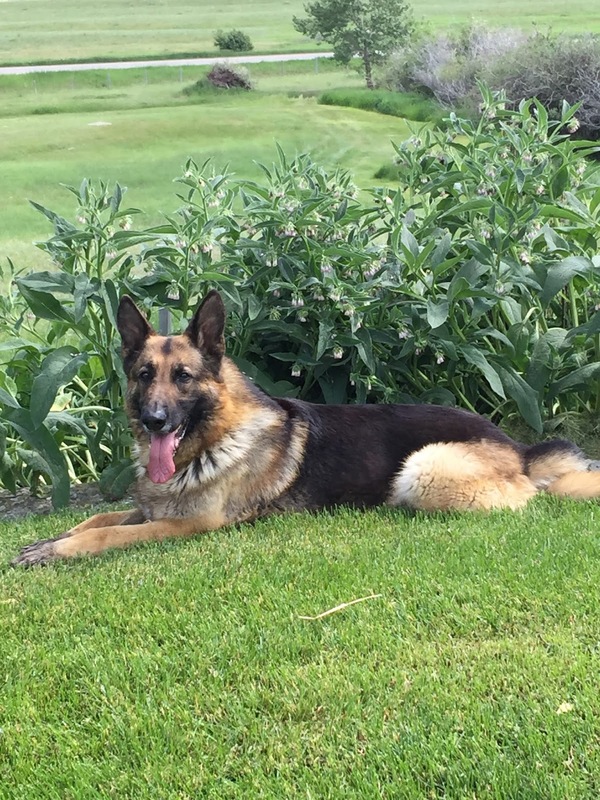 Our four beautiful German Shepherds are still with us and although each of them has earned a grand retirement, they still enjoy coming out for some work now and then. The two dogs that are still competing in performance events are Drummer, our sheltie (6) and Castle, our shiba inu (4). 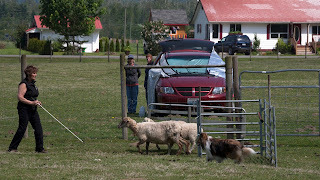 In May, my friend, Shar accompanied Drummer and me to Hope, B.C., where Drummer entered the three day Herding Trials at DownRiver Farms. 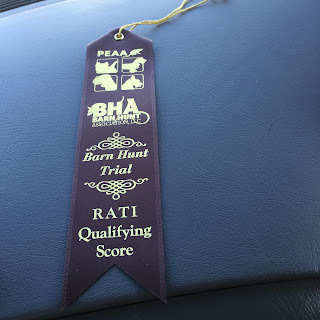 We came away after three days of herding with a third place, a second place, a Reserve High in Trial and a High in Trial Award. 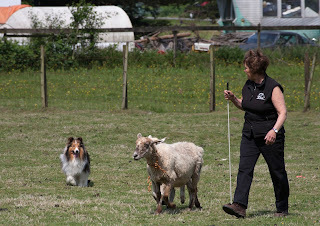 Plus the Highest scoring Shetland Sheepdog three times in a row. We also finished both our Started Stockdog and Herding Arena titles. We were stoked!!! 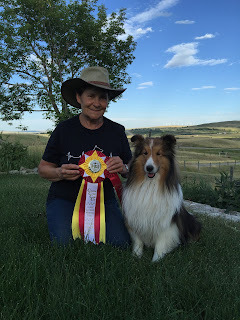 In late July at the Winchester Ranch herding trials, Drummer finished all his Intermediate Stockdog and Arena titles and also gained a Qualifying score towards his Advanced Title. He did a great job, receiving 2 Reserve High in Trials as well. In June, Drummer picked up two Qualifying scores towards his CDX title, leaving him one to go. And in November, he did just that. He finished his CDX title with High in Class!! 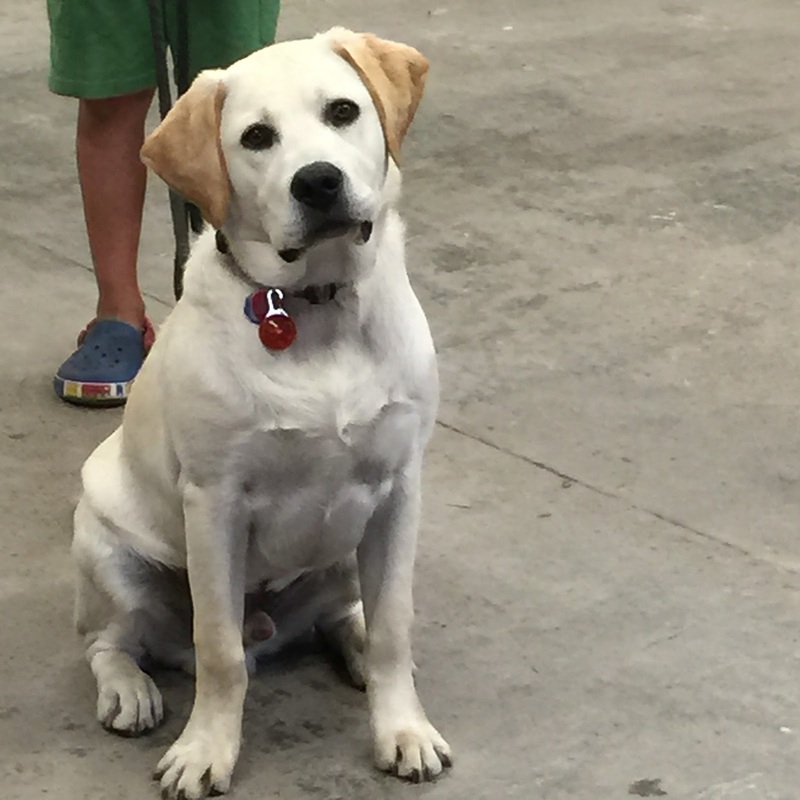 In July, Drummer went 3/3 qualifying scores to earn his CKC AgNS title! It was fun seeing him manage the course with little trouble. 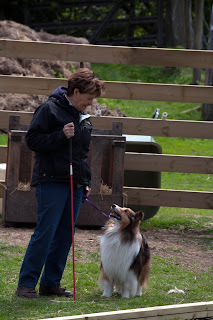 Castle did well in his NADAC Intro agility and has two legs towards his Nadac regular title. Drummer has one Intro leg. 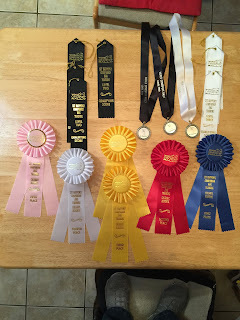 This year both the dogs competed in AKC Rally Obedience and WCRL Rally Obedience and their performances were amazing. Both dogs earned the right to attend the AKC Nationals in Tulsa in 2016 with Castle's score being 398/400 from the Advanced class at the shows in Boise, Idaho, in October. 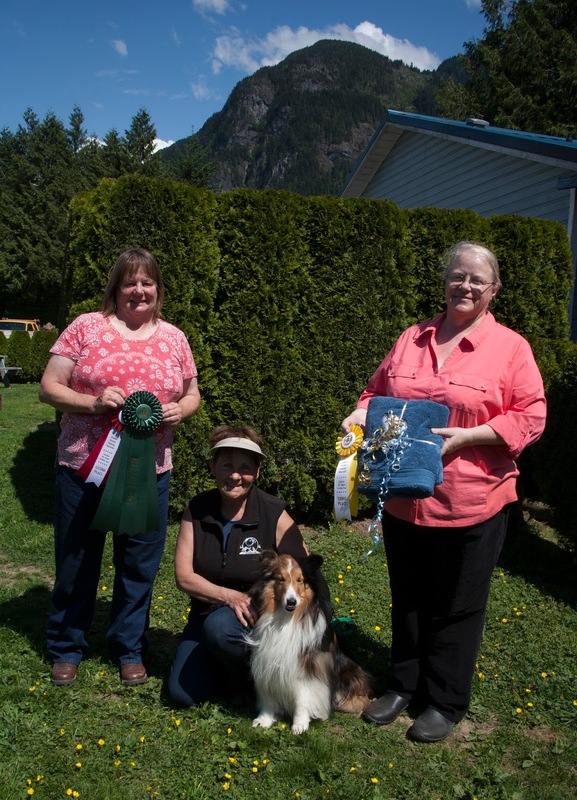 Both dogs earned their American Rally Advanced titles 4/4 tries. Also in October, back in Canada, Castle and Drummer entered the Level 2 WCRL classes at Sit Happens! in Calgary, Alberta, coming away with their WCRL-2 titles. Drummer went on to finish his WCRL-3 title as well. So proud of their runs. Drummer and Castle entered the SDDA Nosework trials at Red Deer this year and both completed their Started titles. And Castle recently received his first title in Intro BarnHunt. Definitely his sport. Scent Hurdle racing with Due South was successful as well. Castle has his SHDCh and Drummer has his SHDMX title!! 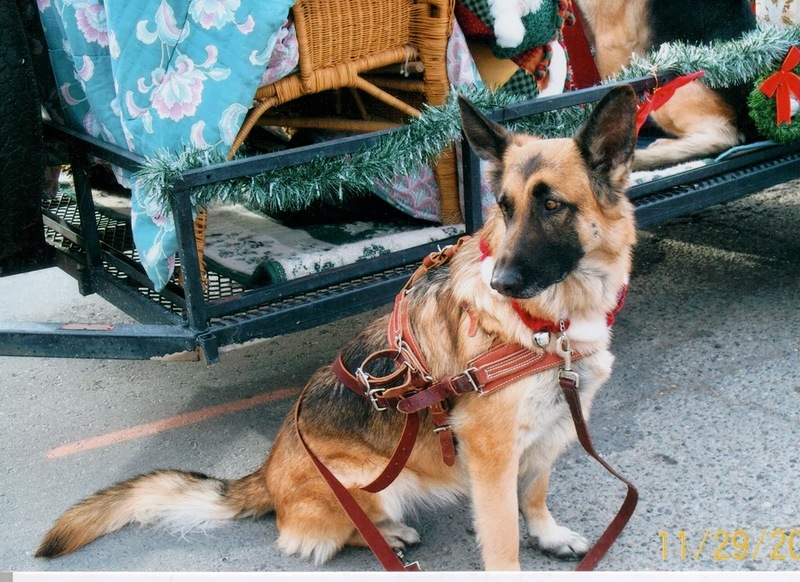 Our SAWHDA entered the Fort Macleod Santa Claus Parade and I took Shaggy Muffin. She was as good as gold and looked fabulous on the float. To my clients and my friends who train with me, congratulations on your fabulous wins and titles achieved in 2015 and I look forward to seeing you all in 2016. Nothing like entering a clinic or a competition to make training more important. Our schedule for the months of September and October looks formidable. This weekend, September 4-7, Drummer and I head to the No Chicken Ranch at Okotoks for the Dave and Trudy Vickland herding clinic and a Fun Match!!! Packing all my snow and rain gear for this event as the weather forecast is for blah blah weather. Wet, rain, sleet, and maybe snow. Grrrrr. Was going to pull the rig and stay onsite but no way. Thank goodness I have fabulous friends and can beg a bed for the weekend at the Labrador Ranch with Grant and Marion. Drummer has been pulling off the most wonderful wide outruns. I sure hope he can show Dave some of that talent. We will come away with all kinds of good stuff. 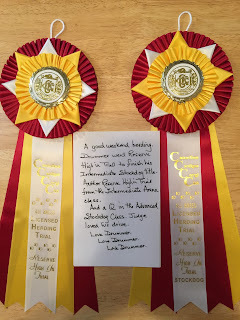 We did a great job at the CCCC competitions at the Winchester Ranch coming away with a Reserve High in Trial. Good dog!! 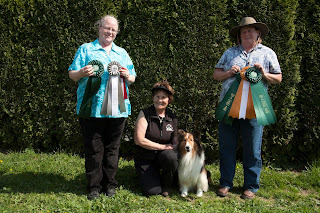 On Saturday, September 19th, the Due South Dog Demo team will be at Heritage Acres Farm Museum as entertaiment for the Fall Fair. This year, our dogs have teamed up with Miniature Horses to do a timed event involving horse driving and dog agility. We will also have relay sprints and weave competitions. We invite everyone to join us from 1:00 until 3:00 at the Farm Museum near Pincher Creek just east of the Old Man River Dam. 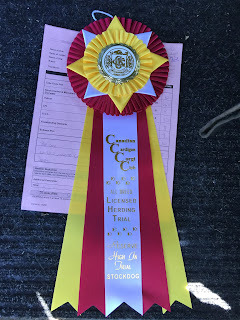 September 26-27, both Drummer and Castle have made it into the SDDA (Scent Dog Detection Assoc.) trial in Red Deer !!! 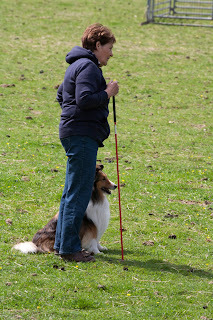 Scary as we haven't done much practice and as a result, we were lucky to get into the pre-trial workshop on the Friday before so that Judge, Teresa Lewin, can go over the rules and help us with what we can and cannot do in competition. The judge interprets the work so it's nice to know what the work should look like to her. My goal is to have Drummer pass the exterior hide without peeing on something. Castle, of course, hasn't done any trials yet, so he is an adventure waiting to happen. October 7th to 12th, Drummer, Castle and I join my friends, Sheena and Ellen, for the Canucks go South trip and we head to Boise, Idaho for some AKC action. I will stick to the Rally ring and after practicing with Castle last night, I think I could come away with some pretty nice scores if I keep my handling precise. Drummer is rusty but I have time to play with him. And I am happy to say that my entries have been accepted to this show!!!! October 31st is the Sit Happens! WCR competition and both my dogs have made it into the trial. Super duper!!! We get a chance to work on our Level Two Rally titles. Must book the Cowley Hall a time or two before then to really get into the larger space for practice. 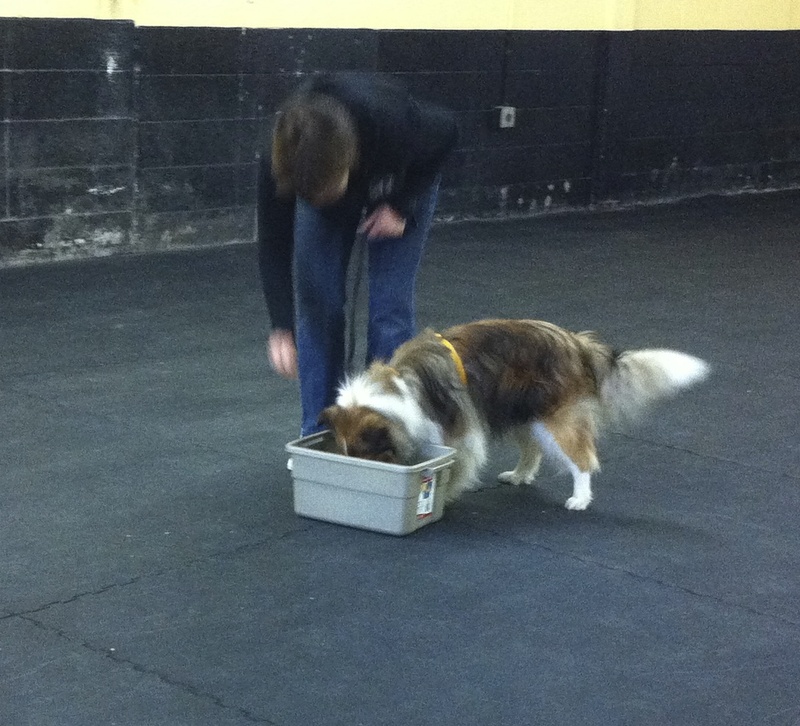 And then, we need to get our entries into the Lethbridge and District Kennel Club Dog Show in November. Both Obedience and Scent Hurdle for the Due South Team. 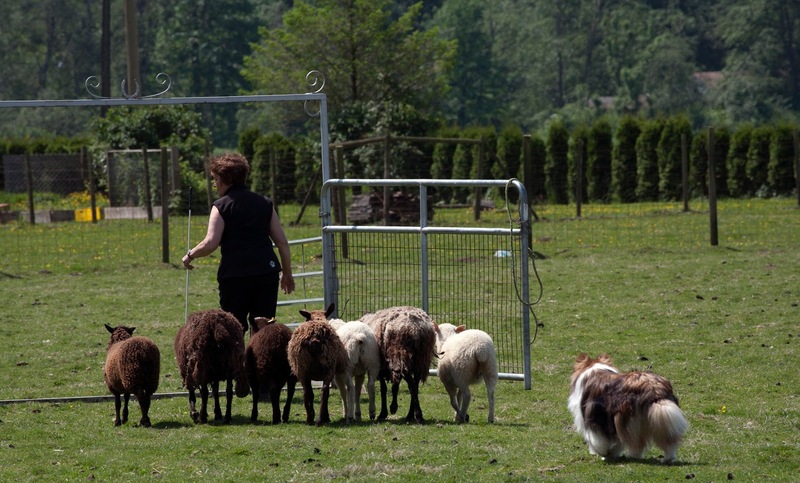 As you can imagine, between lessons and practice, and just keeping the kennel in good stead for the boarding dogs, we don't have a lot of 'wiggle' time here at Shadowbar. We have some amazing pups attending private lessons right now and they, in four lessons, have mastered the walk on leash properly, the front, the sit at heel, some focused attention while heeling, the moving down, and the stay. Plus they can be recalled while another dog is in motion. 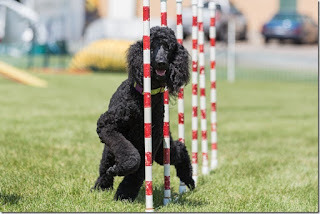 They have played at agility by running through tunnels and working on the low wall. 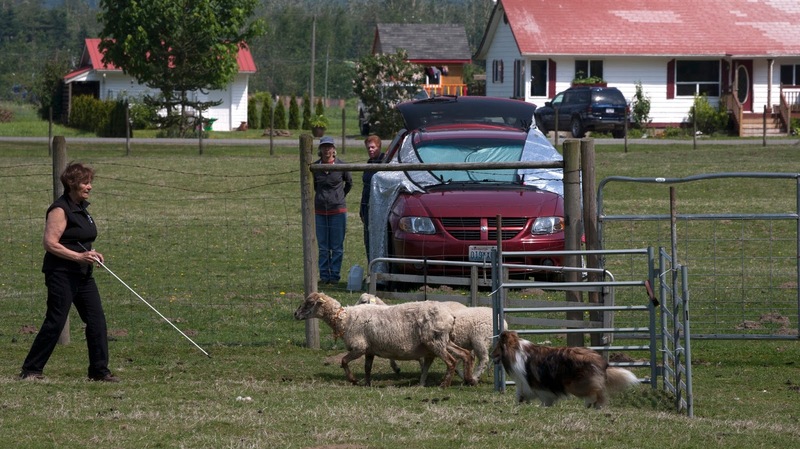 And they are learning to heel without a leash in the outdoor ring. Pretty nice work for dogs under 6 months of age. So nice to see that the owners have taken the time to properly socialize their dogs to other animals so that they can be somewhat more relaxed in these situations, ignoring the other animals and focusing on their owners. Most of you who follow this blog already know that I am NOT a fan of meet and greet on leash or off leash dog parks and day care for my dogs. When my dogs are out for a run with me, they are WITH ME. Here is a link to a really good article written by Robin Bennet. 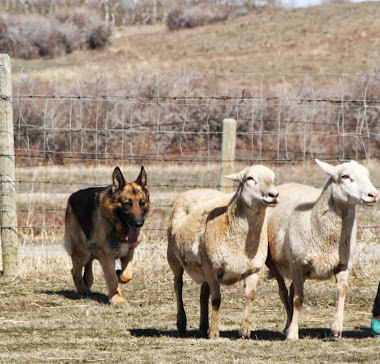 "May a good shepherd watch over you." Shadowbar Shepherds . Simple theme. Powered by Blogger.